Expect to see tons of graduation pictures on your friends’ Facebook profile this month. Its graduation season and you can’t blame excited parents to shoot the important milestone in their kids’ lives. Graduation is a big achievement for both parents and their children. It’s also a big leap towards their kids’ emotional and mental development. They are no longer the teeny babies that you were once holding in your arms. They are all grown up now ready to receive their class rings from Joy Jewelers. Your new graduate will embark on a new journey and it is at this point that they need your support the most. 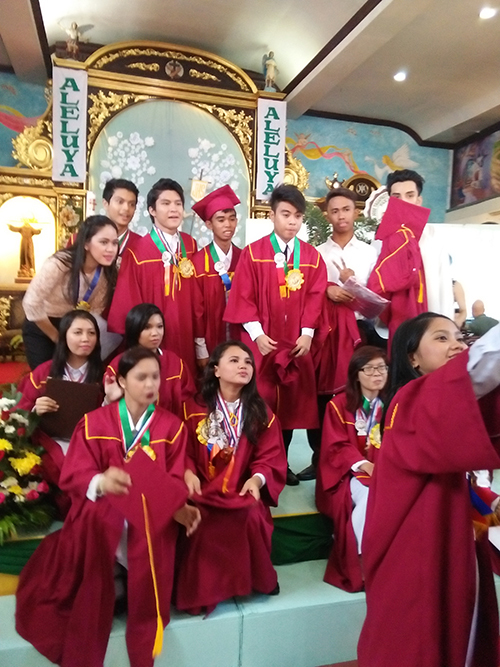 This entry was posted in Occasion and tagged graduation, graduation ball, graduation day, graduation memorabilia, graduation picture, graduation program, graduation season, graduation time, nostalgia, yearbook on March 31, 2016 by Yami.